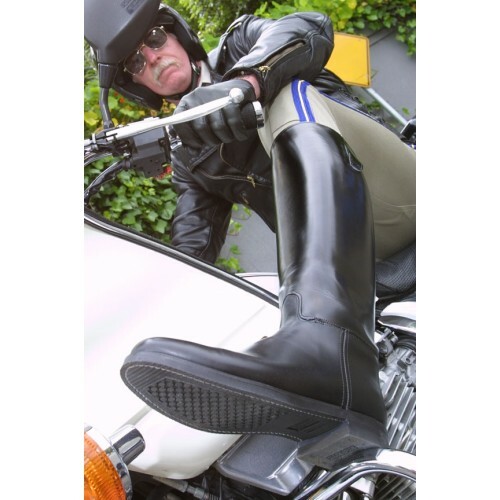 Dehner Black Leather Dress Patrol Boots - The specifications for the "Dress" Patrol are the same as the Bal-Laced Dehner except that the instep is smooth with no lacing. This creates a snugger fit and a look that is more formal in appearance. 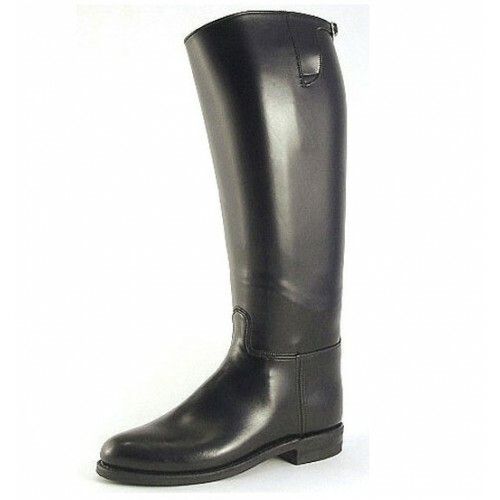 This boot is made of French calfskin for the foot area, with the boot shaft constructed of man-made Majilite (also known as Dehcord.) There is one top buckle Strap. 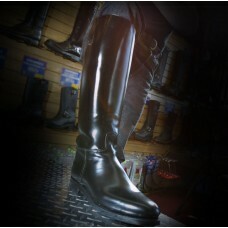 Fully leather lined and a double thickness nitrene sole for long wear and easy replacement. 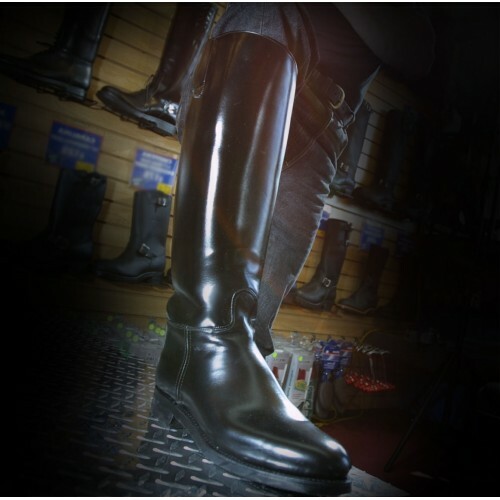 Please note on our order size-grid (click to view) there is the option to order ONE-INCH WIDER CALF in the "D" width foot and ONE-INCH WIDER CALF in the "EE" width foot. This wider calf option adds one-inch to the circumference of the calf area.